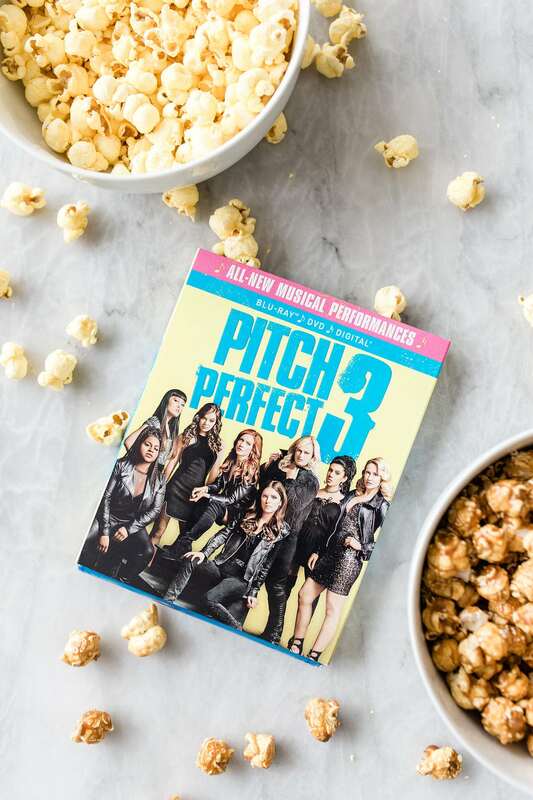 I am so excited to partner Universal Pictures Home Entertainment on this Pitch Perfect 3 Movie Night! Have I ever told you guys how much I love a good movie night in? And not just a movie night, but a girls only movie night?! 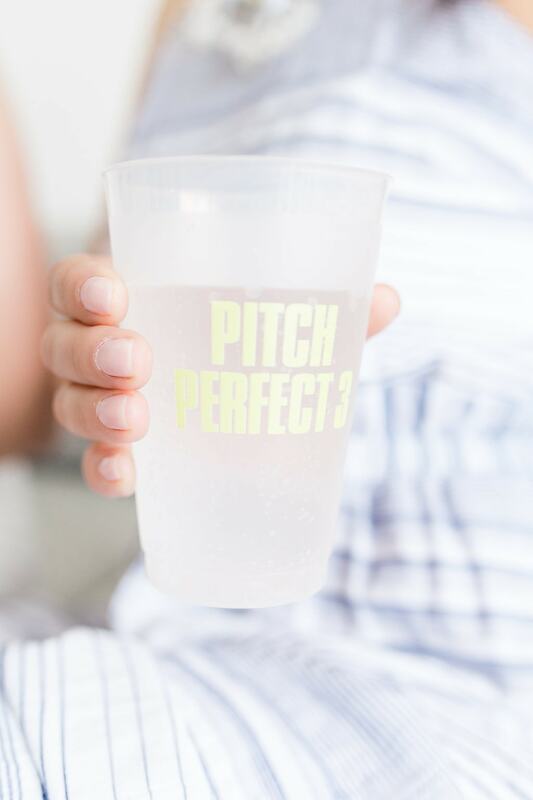 This weekend, I hosted a viewing party for Pitch Perfect 3 and could not have been more excited! 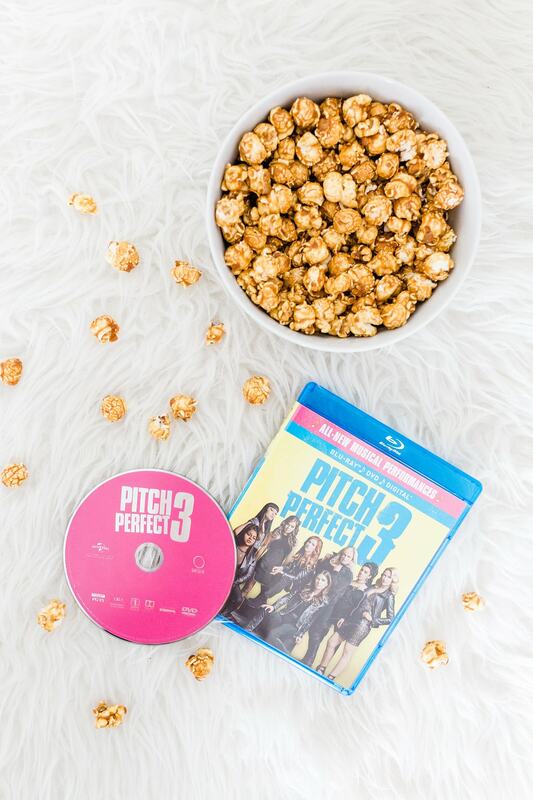 :) I’m a huge fan of the Pitch Perfect movies, and now that the Bellas are back with Pitch Perfect 3 on Blu-ray with new musical performances, gag reel and extended scenes not seen in theaters, it seemed like the perfect choice to gather all my party supplies and host a ladies’ night in! With all the craziness of our home renovations lately, I had been DYING for a relaxing movie night just like this. 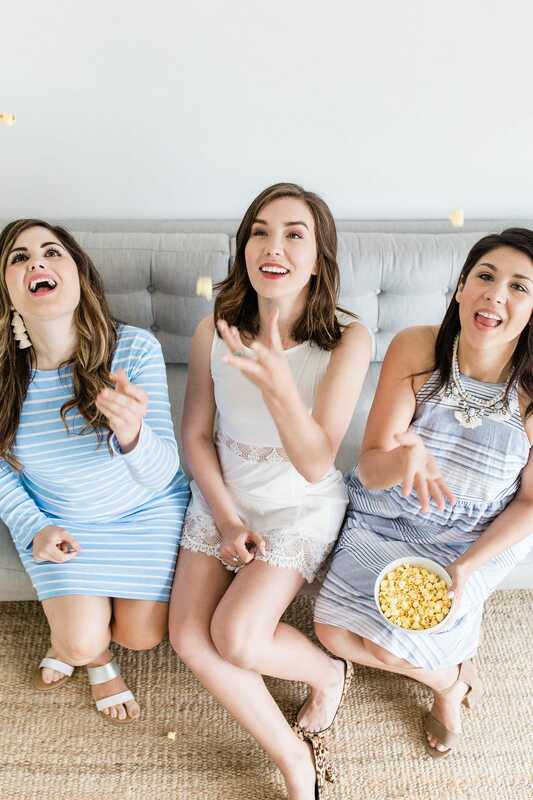 Don’t get me wrong – I’m always looking for an occasion to have a girls’ night out, but nothing beats curling up on the couch with some simple snacks and your best girlfriends for a hilarious movie night! 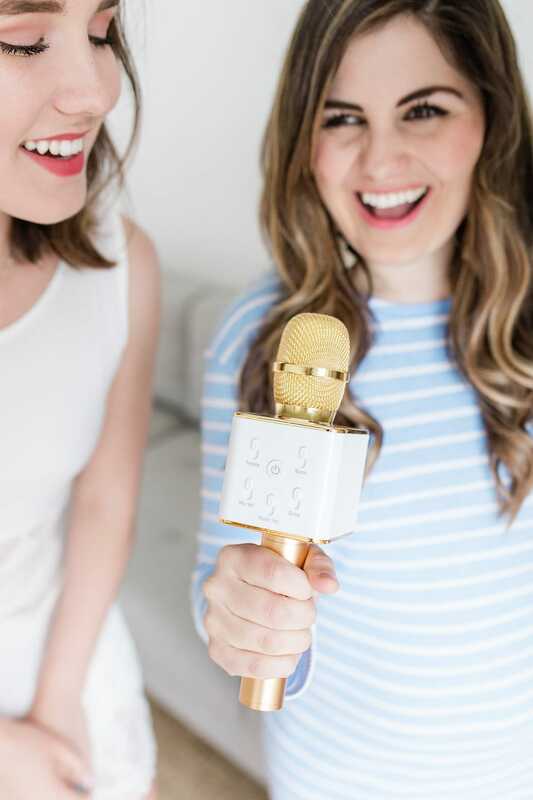 Plus you know I’ll take any excuse for an all-out themed party ;) So today I’m sharing some of my tips, recipes, and fun activities with you guys for how to host the perfect “Pitches Night In” movie party! I’m still drooling over these amazing cupcakes with this vanilla buttercream and Nerds on top. These easy treats were dangerously delicious! Seriously get ready for the excitement! In my opinion, you can’t go wrong with cupcakes for any event you’re hosting. 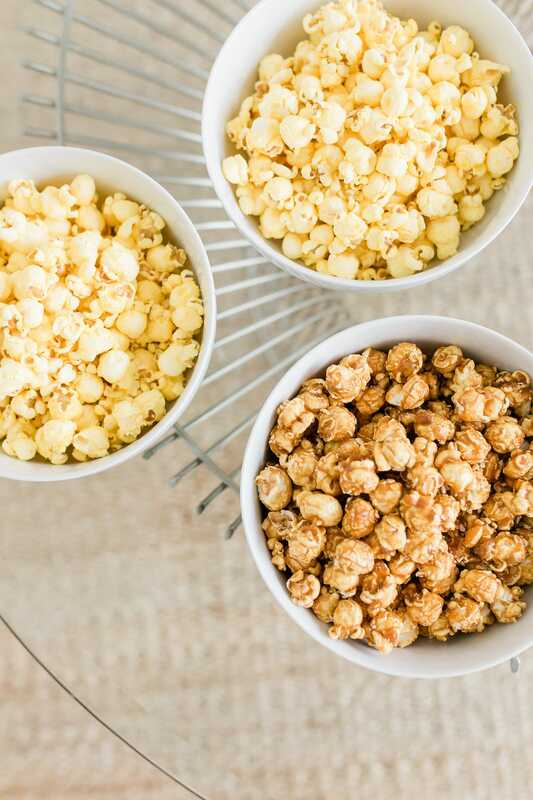 They are easy to make, easy to serve, and easy for your guests to casually eat throughout a movie. Plus this flavor combo is seriously the best! You guys know how much I love vanilla everything, but the Nerds addition took it over the top. With the smooth vanilla buttercream and cake, the Nerd topping added the perfect tangy flavor and extra little crunch. I couldn’t help myself either when it came to baking up a batch of my favorite sugar cookies! 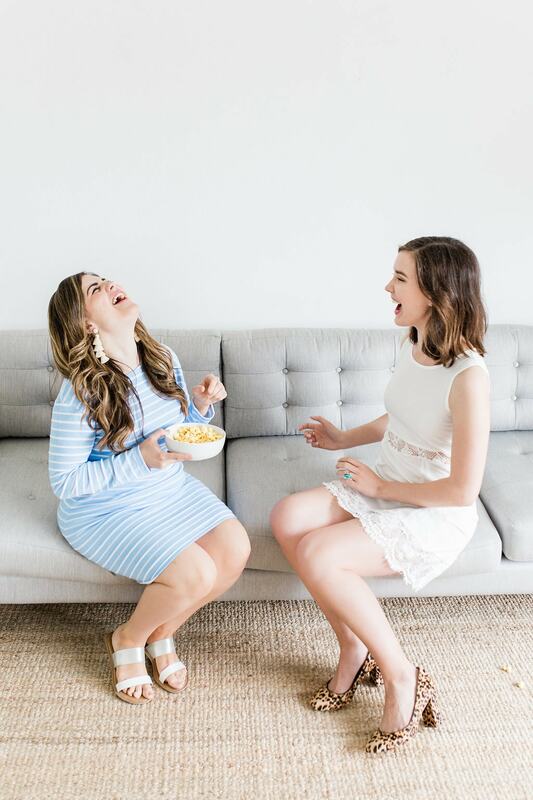 I just LOVE this recipe for any occasion! You can bake the cookies as the recipe states for a sweet treat or get super creative with decorating cookies! For a fun movie night activity, you could even let you guests decorate the cookies themselves. 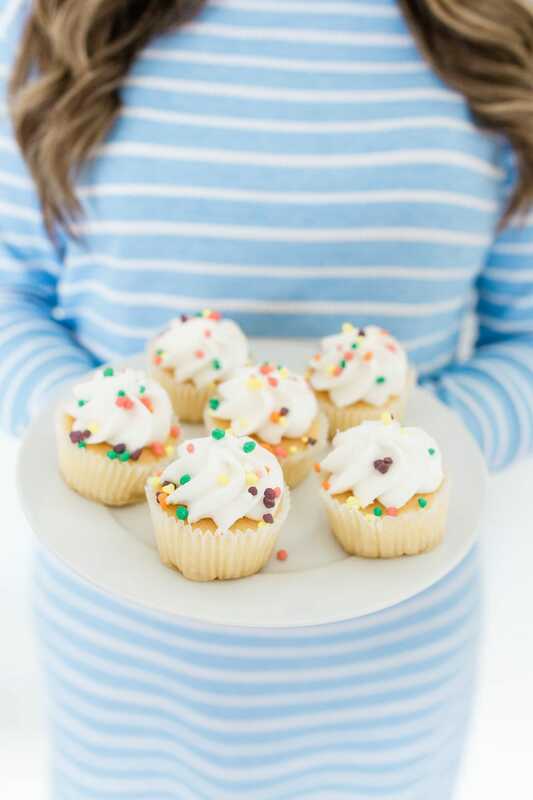 Just swing by any major party store and pick up a variety of sprinkles, frosting, and candy toppings and set them out so your girlfriends can go cookie crazy! For a little added fun you can even cut the cookies into themed-shapes like music notes or microphones. With this recipe, the sugar cookies seriously always hold their shape, so get as crazy as you want with the different shapes! Painting your nails is basically a girls’ night requirement as far as I’m concerned! 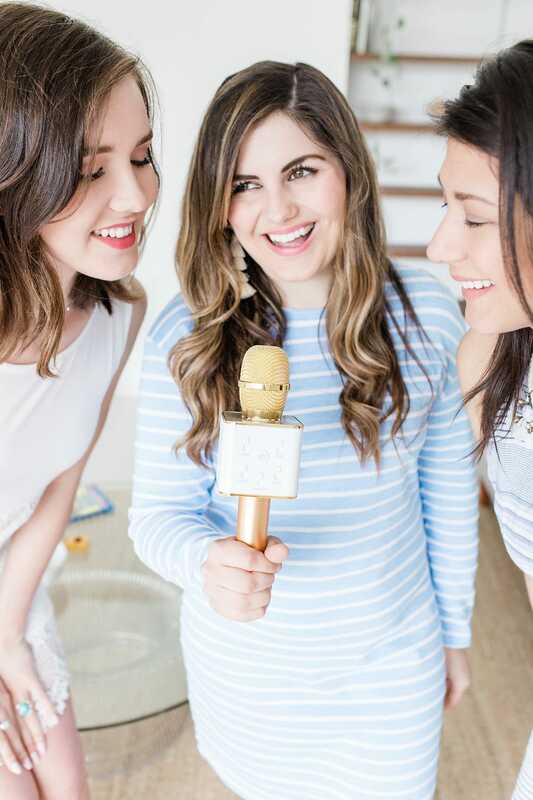 It’s such an easy party activity to throw together if you’re hosting and honestly perfect for a movie night. It’s simple enough too that you and your guests can paint during the movie without missing anything! 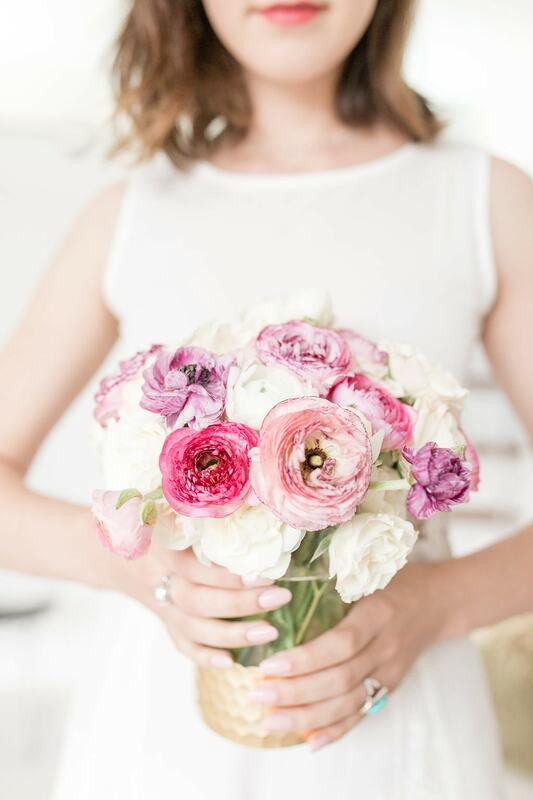 You just need a few bottles of nail polish, cotton balls or rounds, and some polish remover to get the party started! Pick a fun tray or two to set out all of your supplies, then let your guests paint as they please! I’ve had a lot of luck finding cute trays at local party stores, so I definitely recommend looking at your nearest one for inexpensive options. When painting nails with a group, I always like to offer a variety of colors and shades to cover everyone’s polish preferences! Lucky for us, there are official Pitch Perfect polish colors! The set comes from Live, Love, Polish and I’m so obsessed with all of the different colors. There are six different shades, but my favorite shade is this bottle of gold, glitter polish called “Last Call Confetti.” As soon as I saw it, I called first dibs on the bottle ;) It is such a fun color that I seriously can’t get enough! With all of my party supplies, I also picked up a variety of drink choices for everyone. I promise with all the extra singing and dancing you’ll be doing, you do not want to forget plenty of hydration options! 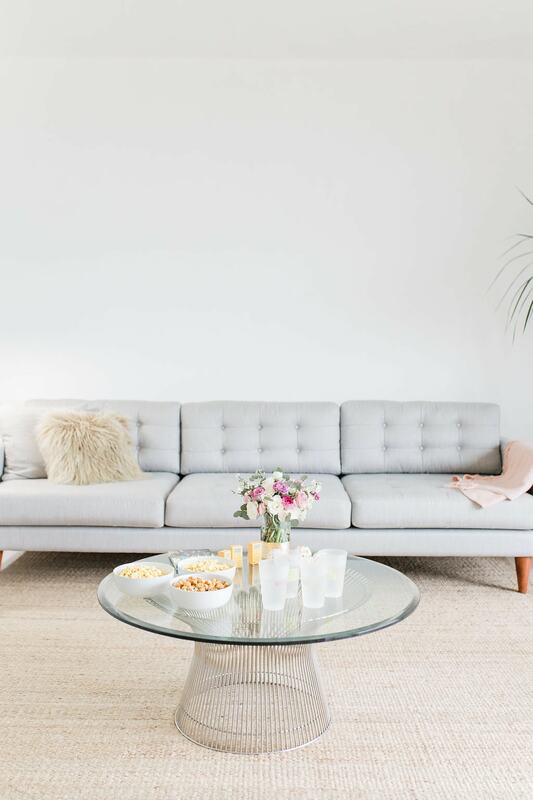 ;) I knew I wanted my movie night to be more comfy and relaxed, so I invested in a variety of sparkling water flavors to keep our party going, but you can get as creative as you want! I love the idea of going full out with a signature mocktail/cocktail for your “Pitches Night In.” Experimenting with different flavors to make an exciting new drink is always a ton of fun and can be a cute treat for your guests to enjoy! 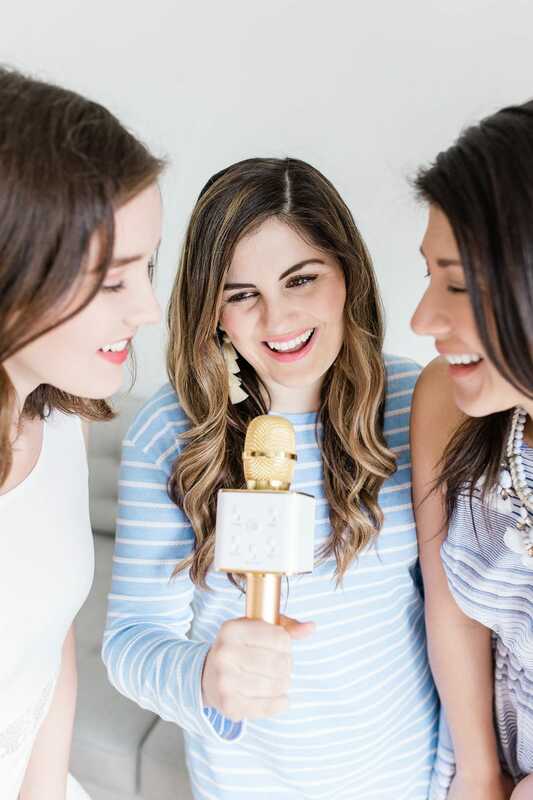 Try inventing a Bella-Tini, an Aca-Pina Colada, or whatever else your girlfriends would love! As a funny game before the movie, you can even invite your friends to invent their own drink and see what crazy concoctions you come up with as a group. You could also totally snag the recipe for this Gummy Bear Cosmo, if you’re looking for a guaranteed delicious and amazing signature drink for the night! 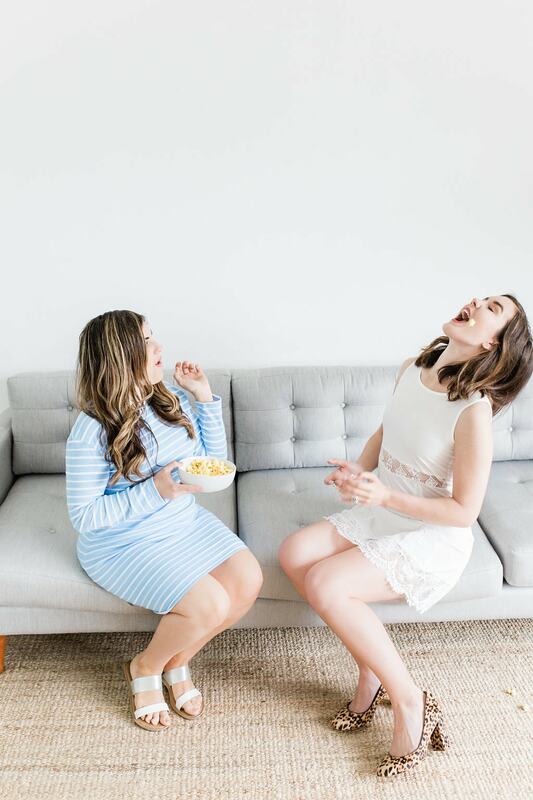 With the snacks ready and the polish set, you just need to add a comfy couch and your closest girlfriends for the perfect girls’ night in! Of course you can’t forget a copy of Pitch Perfect 3! ;) The new DVD and Blu-Ray is chocked full of extended scenes, new musical performances, and my personal favorite – a gag reel! I totally recommend snagging a copy, so you can treat your girls to the true VIP experience for your movie night! 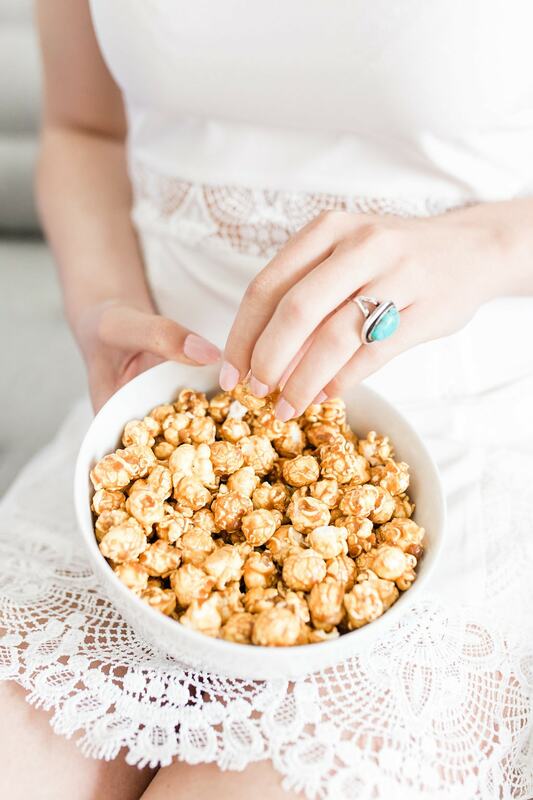 Easiest Movie Night Party Ever! About Pitch Perfect 3 + Watch the Trailer! Still reading?! Here’s the BFFF lowdown about Pitch Perfect 3! 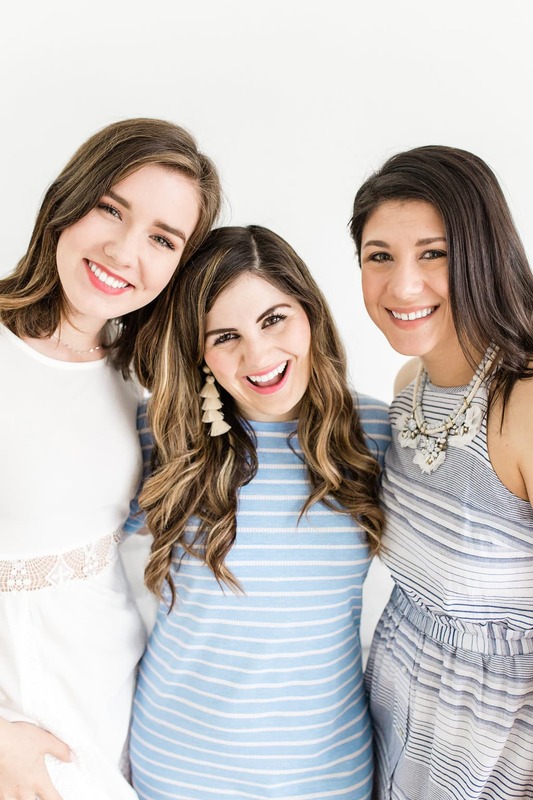 Now graduated from college and out in the real world where it takes more than a cappella to get by, the Bellas return in Pitch Perfect 3, the next chapter in the beloved series that has taken in more than $400 million at the global box office. After the highs of winning the World Championships, the Bellas find themselves split apart and discovering there aren’t job prospects for making music with your mouth. But when they get the chance to reunite for an overseas USO tour, this group of awesome nerds will come together to make some music, and some questionable decisions, one last time. Pitch Perfect 3 Cast stars- Anna Kendrick, Rebel Wilson, Hailee Steinfeld, Brittany Snow, Anna Camp, Hana Mae Lee, Ester Dean, Alexis Knapp, Chrissie Fit, Kelley Jakle, Shelley Regner, Elizabeth Banks and John Michael Higgins all return and are joined by additions including John Lithgow and Ruby Rose. Pitch Perfect 3 is again produced by Paul Brooks of Gold Circle Entertainment and Max Handelman & Elizabeth Banks of Brownstone Productions, and is directed by Trish Sie (Step Up All In). Disclosure: This post has been sponsored by Universal Pictures Home Entertainment. Thank you for supporting the brands who support BFFF! Models: My gorgeous friends Milan & Sarah.